Foundation paper piecing (FPP) and English paper piecing (EPP) are two well know techniques in the quilting world. They both use paper, their names sound alike, so what is the difference between these two techniques? 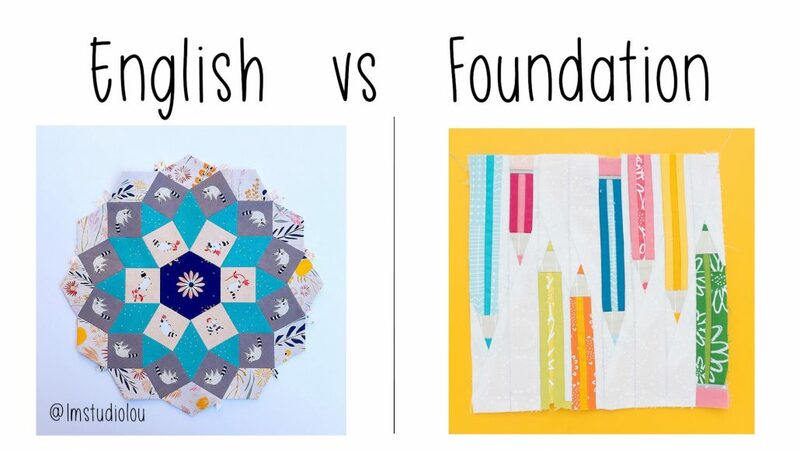 I have never tried EPP myself, but luckily Ange and Lou allowed me to show you their work to illustrate what you can make with the English version of paper piecing. Isn’t that pretty? I loove those colors and the tiny polka dots used by Alittlepatchwork. And these racoons by ImstudioLou! Fussy cutting heaven. I’m calling this one my Raccoon block!! Another #mandolinquilt block to add to the pile! So those are two examples of blocks you can make with EPP. Foundation paper piecing is something I do almost every week. I love that technique! FPP allows me to draw something and turn it into a pattern to quilt. 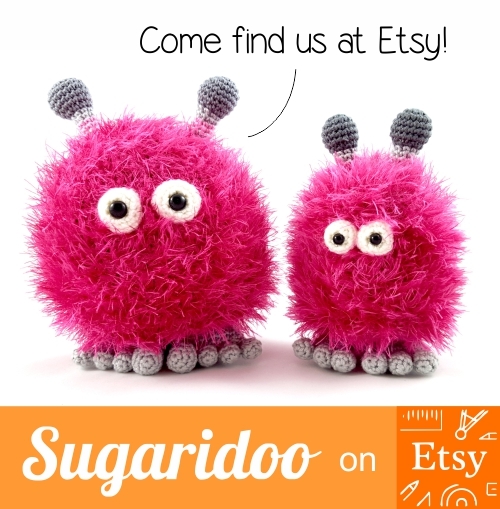 I even wrote a book about it, collecting all the patterns I designed: the Sugaridoo Sampler. 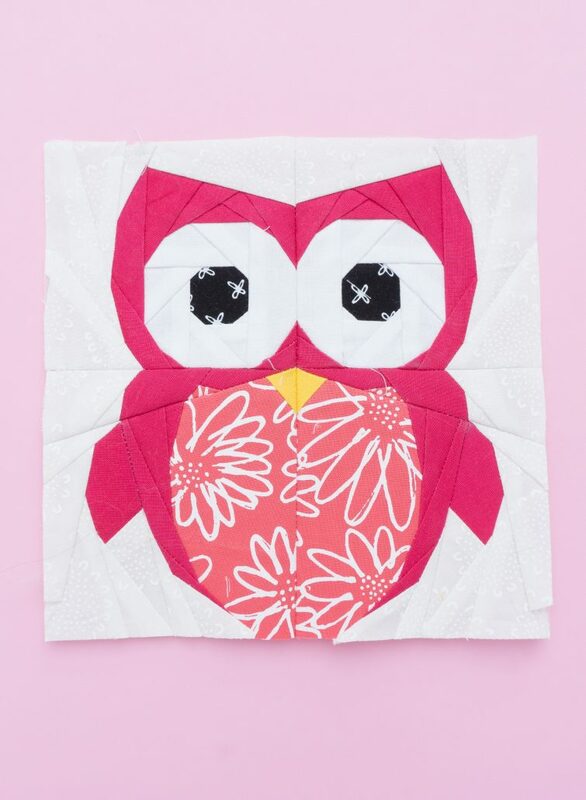 If you would like to learn all the basics of Foundadtion paper piecing, go take a look over here: FPP tutorial. Hope this explains the different about these two techniques! Cleaning up my studio, I came across this cute little cross stitch project in my studio last week. So I asked on my Instagram if anyone was interested in the pattern. And you were :) So here it is. It’s as simple as that! You can stitch it and frame it in a hoop as I did. 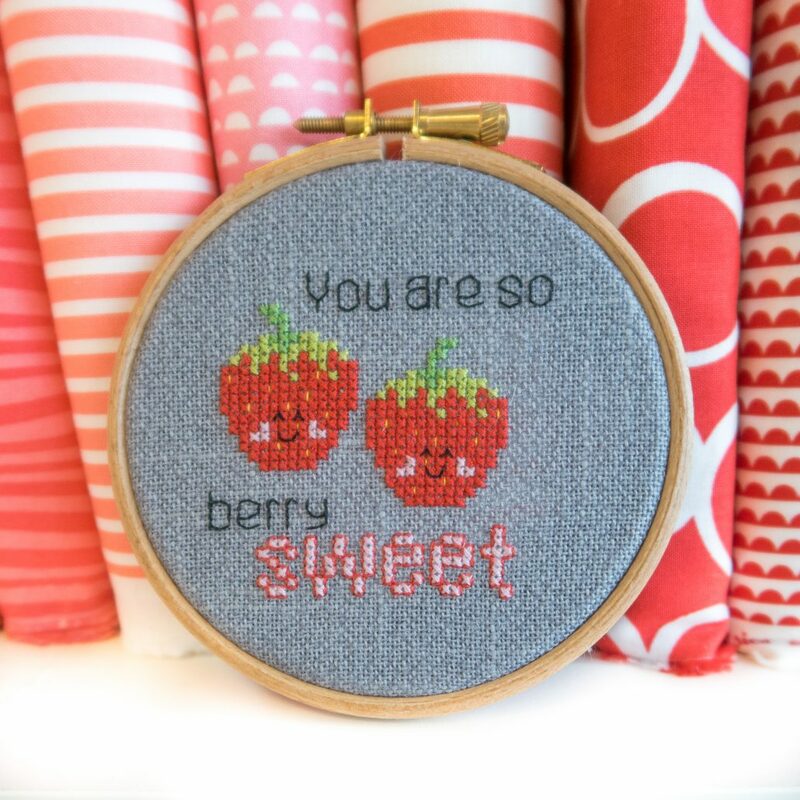 Which will make a lovely give for someone you think is berry sweet ;) Or stitch it on a bag, on the back pocket of you jeans. Wherever you put it, I’m sure it will be just perfect. 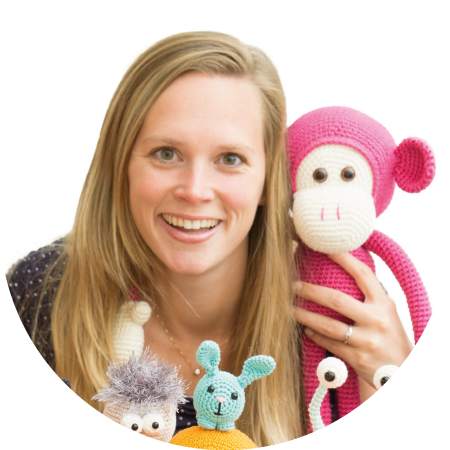 Thank you for being part of this super fun creative community! I love how we can inspire and encourage each other via social media. Instagram just feels like a never ending crafting party with all of you. I love it!